I already posted this photo on my Facebook page last week, but I thought I’d post it on here so I could talk about it a little. This has to be one of my favorite photos that I’ve taken. My dad and I got up at 5:00 am and rushed out to Capitola beach to get photos before the sun came up. This was taken just before sunrise (not that the sun came out–the fog didn’t burn off until around 8 or 9 that morning). 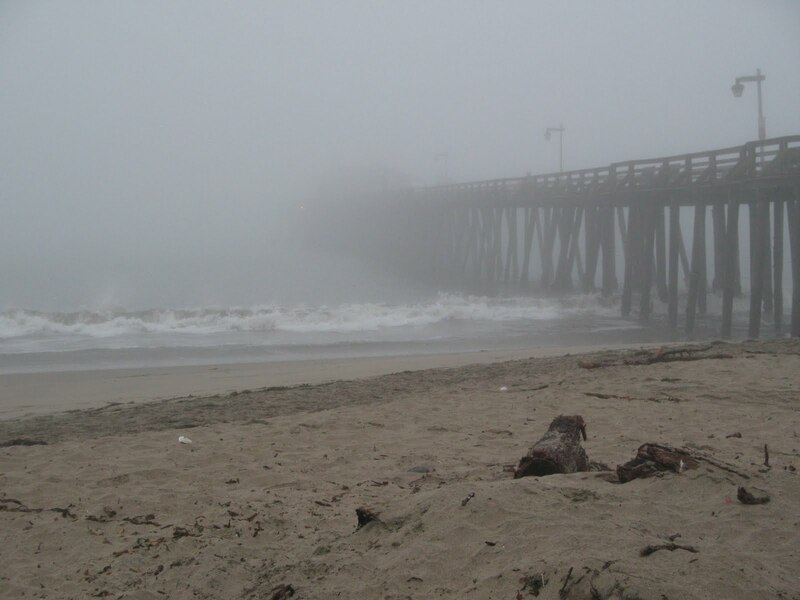 I’d almost forgotten how foggy it can really be early in the morning in Capitola, even in the summer. Looking at this picture, it’s easy to tell why my character Raena is afraid of the pier, even if you don’t factor in her nightmares. This photo will most likely end up on my website as the backsplash/header. I’ll see what my husband decides, since he’s the one building my website. © Brea Essex 2011 ~ No part of this site (written, artwork or photography) may be reproduced in anyway whatsoever without express written consent by Brea Essex.